Don’t waste leftover vegetable pulp that is extracted when you make healthy green drinks in your juicer! The extracted pulp is the secret to a Kicked-Up Meatloaf! It works because most of the liquid is gone and the remaining pulp is somewhat dry, but still loaded with nutrients and fiber. 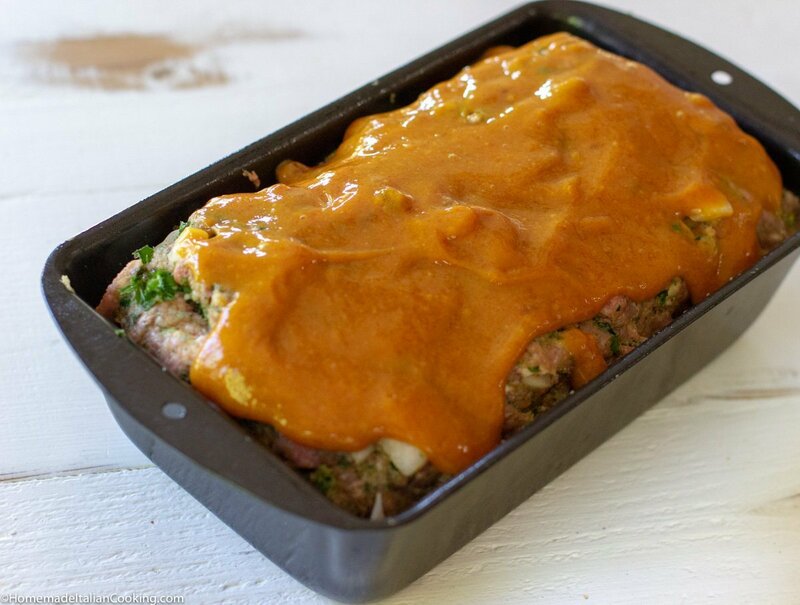 The juicer vegetable pulp makes a perfect filler for a Kicked-Up Meatloaf resulting in a fabulous flavor and healthier meal. This time-honored trick of sneaking minced veggies into your family’s meal for healthier eating is perfected with leftover juicer vegetable pulp. The one tip I highly recommend is to juice all your starch and leafy veggies first and save that pulp for the meatloaf. Most daily juices add other ingredients such as apple, ginger, lemon or pineapple for balance. Juice those last. 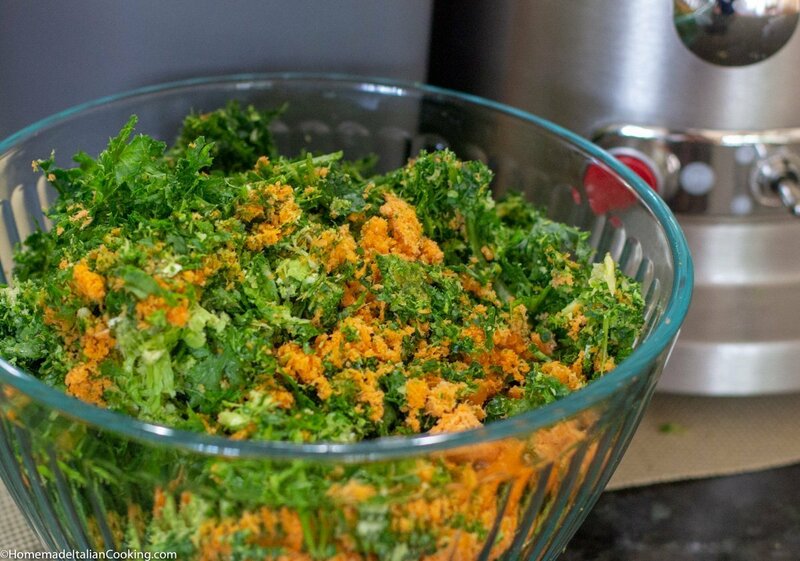 In this recipe, I used kale, spinach, carrots, parsley and celery for the vegetable pulp. I added chopped onion to the meatloaf mix. Do not juice the onion or garlic unless you REALLY want that intense flavor in your juice drink. I love my Brevillle Elite Juicer. It extracts the juice from the pulp in seconds! Wash your veggies and cut in large chunks to fit the chute. Peeling is not necessary! The juice fills the pitcher, and the pulp is extracted to the catch bin. This makes saving the pulp very easy. Clean-up is a breeze as the key parts of the Breville are stainless steel and comes apart easily. You can even freeze the leftover pulp for future recipes. I have seen recipes for fruit pulp to make fruit leather. This beautiful photo courtesy of Sally Roeckell at Table and Dish. A big shout out to food blogger and friend Sally Roeckelle at Table and Dish who inspired me to pull out the juicer from storage. She made an amazing green drink for me in her Breville from kale, celery, spinach, lemon, ginger, and apple. It was refreshing and so healthy! I was energized for the whole day. She advises drinking freshly made juice within 20 minutes to get the most out the fresh nutrients. Get the recipe and read more about the juice movement at her blog here. 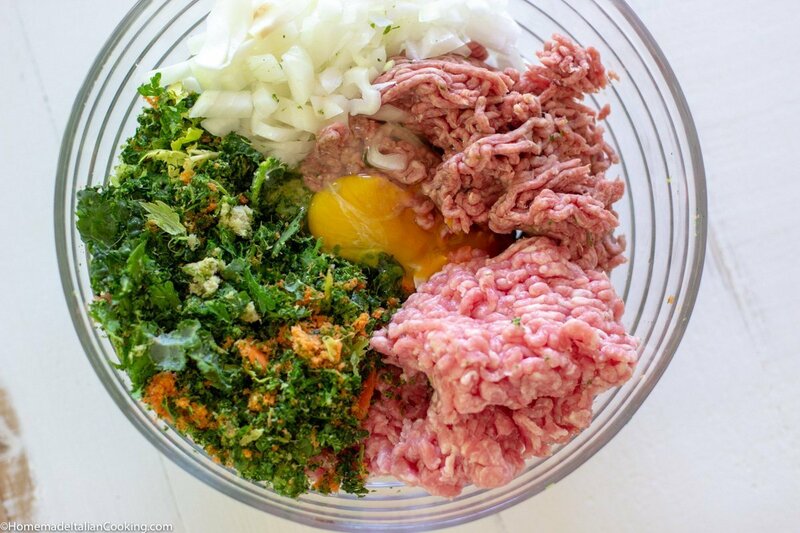 Mix all the meatloaf ingredients in a bowl. I used a combination of ground beef and pork for the best flavor. With clean hands, mix to thoroughly combine. Fill a standard meatloaf pan with the mixture. Make a sauce with ketchup, yellow mustard, and brown sugar to pour on top. This is optional but my husband loves it. Bake for 1 hour at 350F. Pour off any excess liquid and let cool for 10 minutes. Slice and serve. You can see how each slice is moist and loaded with vegetables. Delicious! It reheats beautifully with ready-made Bob Evan’s Original Mashed Potatoes and tastes even better the second day. I even tossed some leftover Kicked-Up Meatloaf in my Marinara Sauce for a delicious and quick pasta meal. 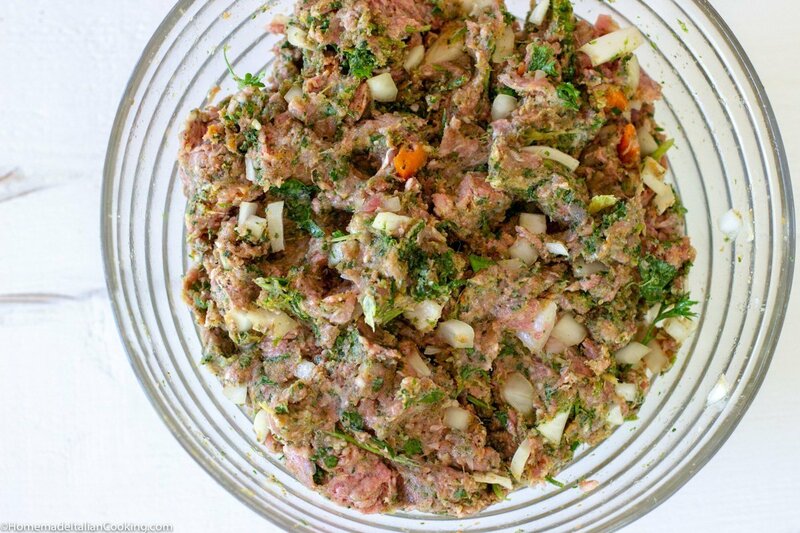 In a large bowl add ground beef and pork, onions, vegetable pulp, egg, ketchup, bread crumbs, olive oil, salt and pepper and mix well with your hands until evenly incorporated. Transfer the meat mixture to a standard loaf pan. Pack down to avoid air pockets. Mix ketchup, brown sugar and mustard in a small bowl until smooth. Pour the ketchup sauce evenly across the loaf. Place loaf pan on a baking sheet to catch any bubbling over. Bake in a 350-degree oven for 1 hour or until the internal temperature is 160 degrees. Do not let the sauce on the top burn. Pour off the extra liquid from the loaf pan.